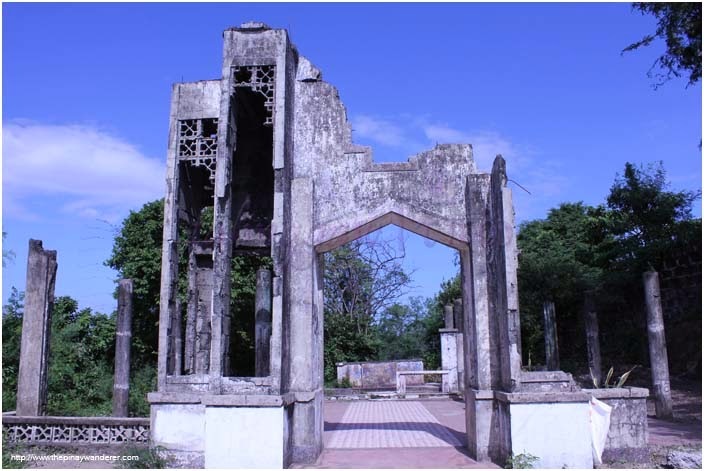 Last October, during my "jobless" days, I was able to visit some nearby attractions here in Metro Manila. 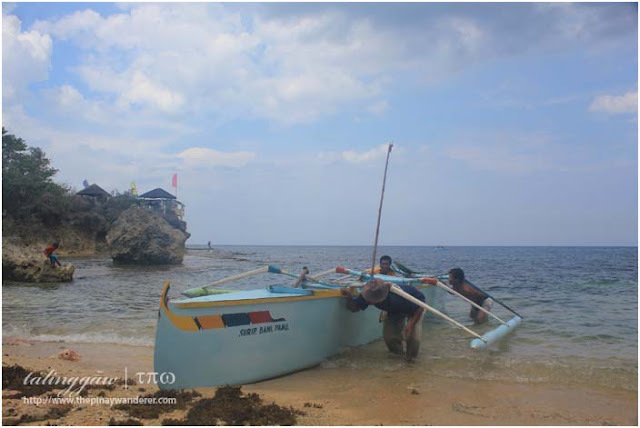 Two weeks before this Rizal road trip, we've been to Laguna, more for a food trip than a road trip, though...hehe. 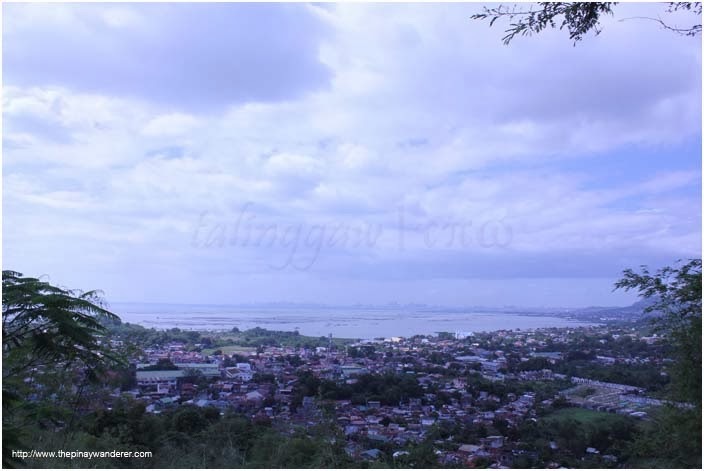 ;) Anyway, for our Rizal road trip, we visited Binangonan and Antipolo. 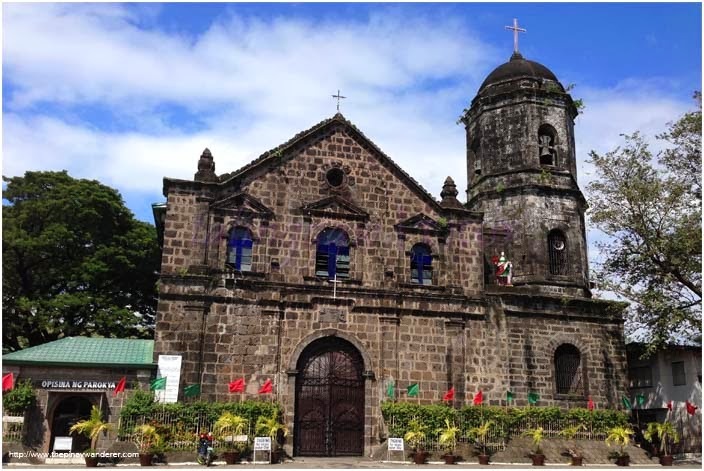 In Binangonan, we tried to visit the municipality's parish church, the Sta. Ursula Parish Church. Unfortunately, since it was a weekday then, the church is closed so I just took some photos and then headed to our next destination: Kalbaryo Binangonan. 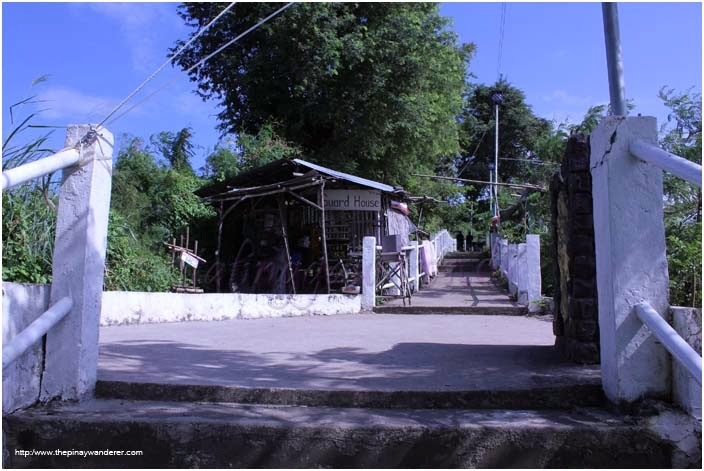 At last we found this gated entrance signifying the start of the hike to Kalbaryo. There's no parking space available (another reason not to bring a car) for visitors so we had to ask favor from one of the residents if we could park our car in front of their house. They allowed us to, so we left and start our hike. 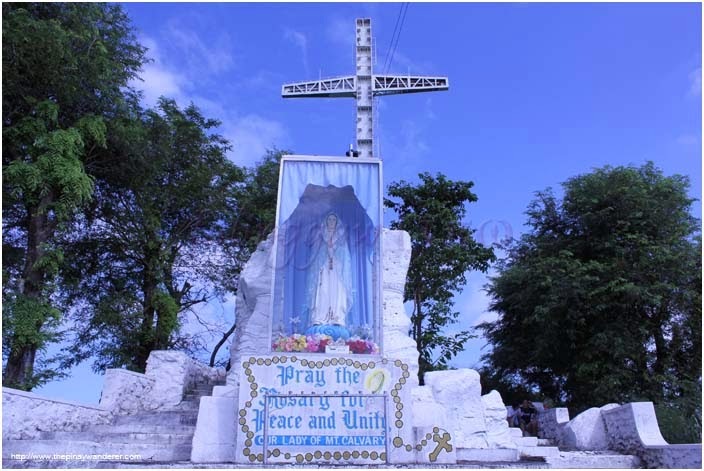 Several more steps from the guard house and I saw it, the steel cross standing 15 feet from its base and the image of Mama Mary enclosed in a thick glass casing. 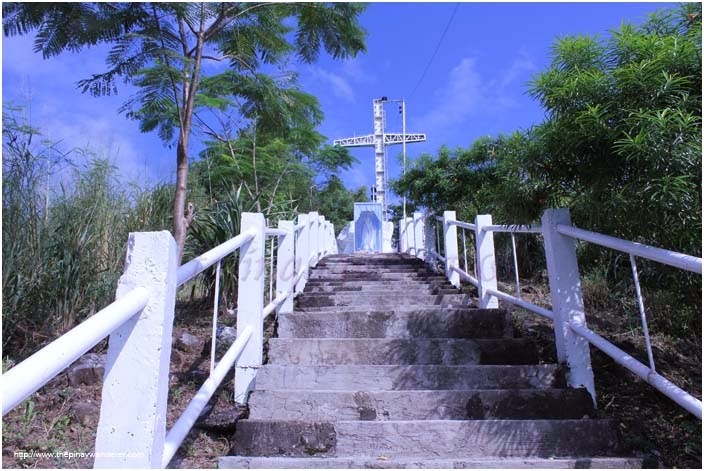 According to the town's government website, a wooden cross was originally built there by a religious man in 1972 but was later on replaced by a steel one, the one standing up to this day. 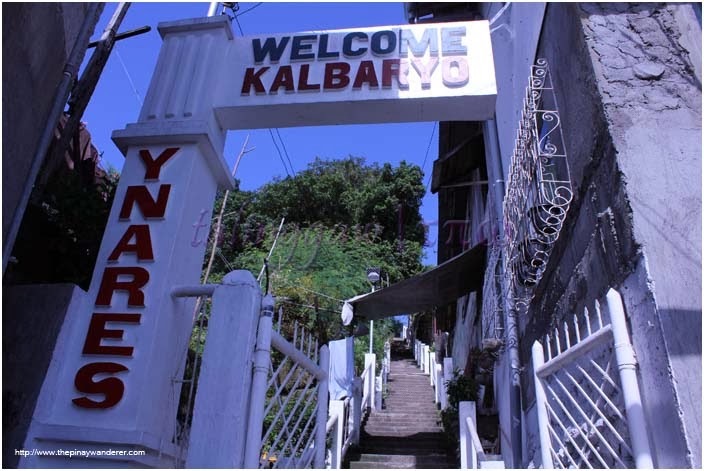 Through the years, Kalbaryo has become a religious and tourist attraction of the town, with many pilgrims/visitors going there especially during the holy week season. But I think it's best to get there off-season, you'll feel the peace and quiet more during those days. By the way, I mentioned earlier that I got worried for my friend during our hike. He actually complained about the heat and his breathing. But he continued the hike. He made it to the top first, actually. I asked him how he is and you know what he told me? 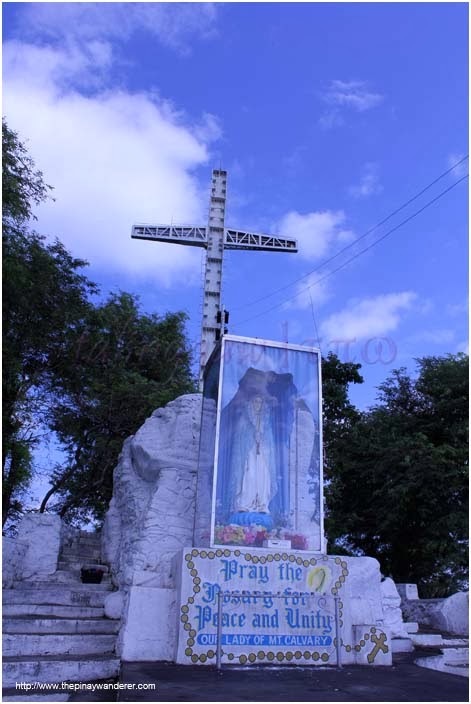 He said he thought he's not going to make it but when he saw the cross and the image of Mama Mary, he felt something. He felt as if Mama Mary is encouraging him to continue, telling him that he'll be okay. And he actually is, thank God! 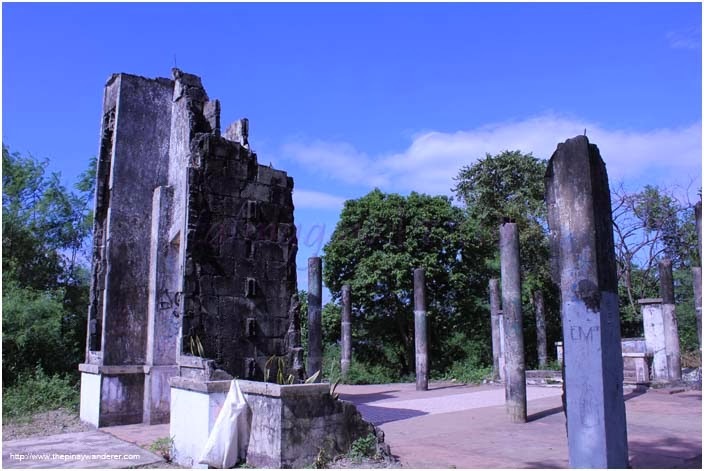 hi....matagal din bago nakapunta uli sa blog mo...sa aming lugar kasi nabagyohan ng bagyong yolanda..
Ang ganda nung chapel ruins, sobrang cool! grabe, jobless days din ako ngayon and im looking for places to travel. #thisisinspiring! 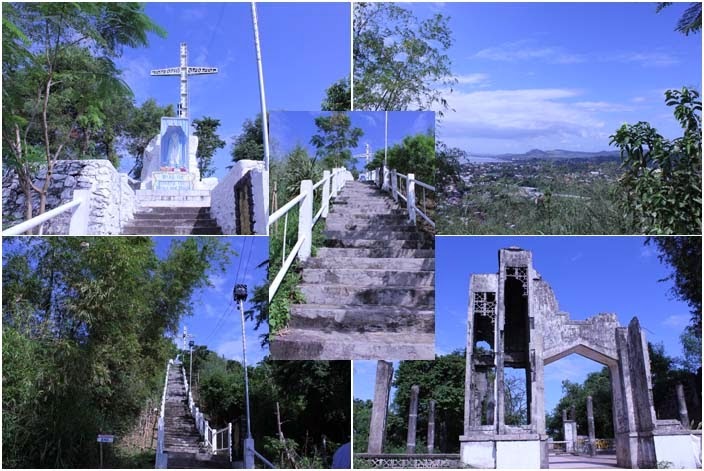 superM: nde na siguro, the location is very near the town's church actually, pwede nga daw sya lakarin lang galing simbahan eh. Arvin: ok lang. nakakapag-bloghop ka na ulit, ibig sabihin ok ka na at ang family mo, thank God! Sana makabawi na kayo at ang lahat ng mga naapektuhan ng bagyo. Mukhangmganda pumunta jan ha. Kahit iwas na iwas ako sa araw lately. I can't imagine how jam packed the place is on Holy Week.